HPANWO TV: CERN Disproves Ghosts? See here for the film: https://www.youtube.com/watch?v=kc9OB6aVgR0. Prof. Brian Cox claimed on his BBC radio show The Infinite Monkey Cage that ghosts don't exist because if they did CERN would have detected them. Is this true, or is Cox simply being... ahem... foolish? This film was originally only available on my Vidme channel, not YouTubel but with the closure of Vidme, see: http://hpanwo-tv.blogspot.co.uk/2017/12/goodbye-vidme.html, I have decided to put it on YouTube. 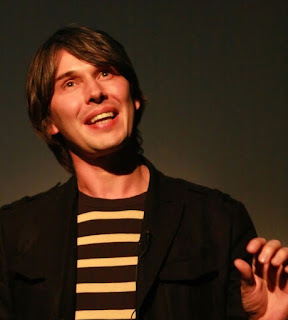 Source: http://www.independent.co.uk/news/science/ghosts-brian-cox-large-hadron-collider-cern-real-truth-standard-model-physics-a7598026.html. See here for the entire programme: http://www.bbc.co.uk/programmes/b085tq49.